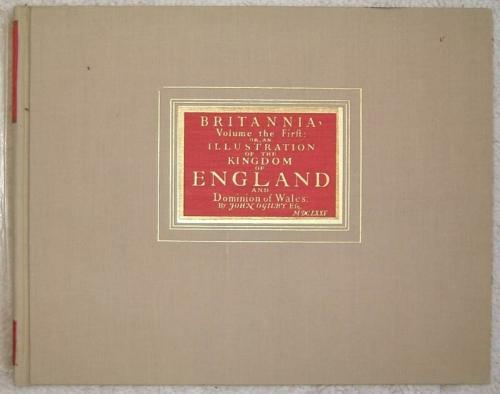 Title: ' Britannia, Volume The First or, An Illustration of the Kingdom Of England and Dominion Of Wales: ByJohn Ogilby Esq'. A 1930s reproduction of Ogilbys classical road maps of England and Wales, published by Duckham. 100 Plates, including a general map of England and Wales, and several pages of text including a preface, advertisements and a dedication to Charles II. In excellent condition with the original dust wrapper and presentation box.